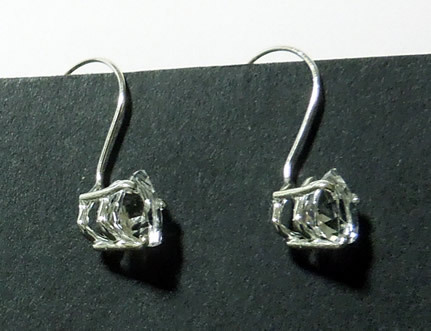 Notes: A set of trillion, or trilliant sparkling cut crystal earrings. 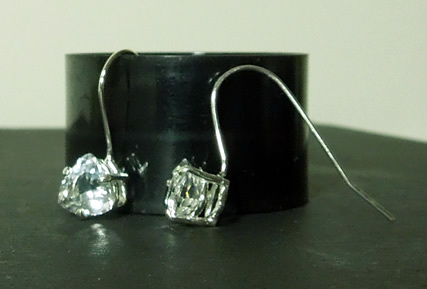 The Herkimer's weigh 1.5 ct. total and measure 6x6 mm. They are set in sterling silver dangle settings. 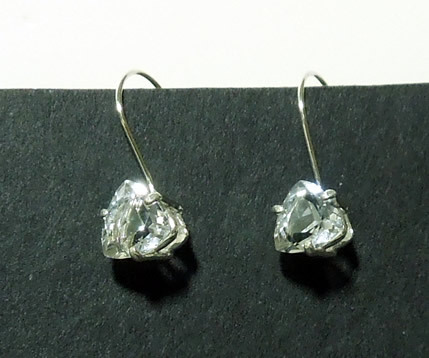 Sparkling trillion, or trilliant, cut crystal earrings.